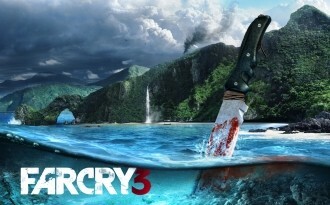 A leaked cinematic trailer for Far Cry 3 reveals that the game is due out in September of this year for the Xbox 360, PlayStation 3 and PC. The clip was originally scheduled to be released tomorrow following a planned Ubisoft quarterly earnings call later today, according to Joystiq. The trailer (which can still be found on YouTube via some proactive searching) follows three friends or co-workers who set about exploring an uncharted tropical island after their vessel docks there for the day. The intro looks similar to the first few minutes of the original Far Cry in terms of scenery but the similarities end there. A chance encounter with some unattended high-powered assault rifles followed by a night of heavy drinking leads from bad to worse for the trio. I won't spoil it for you here, but it's safe to say that protagonist Jason Brody certainly has his hands full in this adventure. The dubstep-infused clip ends with a September 6 release date (September 4 for North America) which is a bit more specific than the general "2012" timeframe we last heard. As evident in the clip, the title veers away from the military-style first-person shooter genre and is "more like a guy coming through the window at 3am with a knife", according to Ubisoft representatives at E3 last year. The title is currently in development at Ubisoft Montreal with help from Ubisoft Shanghai and Massive Entertainment, says GameSpot.